The Bantam work pants with knee pads are the lightweight version of the Brawny Carpenters Pants. The fabric is a cooler 8 oz. 100% Pre-Washed Cotton Canvas to help you stay cool in warmer weather or when working indoors. Flooring installers and finishers like these pants because they are not so heavy and warm when working inside, not to mention the kneepads which saves your knees from kneeling on hard surfaces. The kneepads are sold separately and you can choose between light duty, which is the most popular, and heavy duty gel knee pads. Their loose fitting style offers freedom of movement as well as cooler comfort all day long. The flip out front pockets are handy for carrying all sorts of items like fasteners, parts, fittings etc. 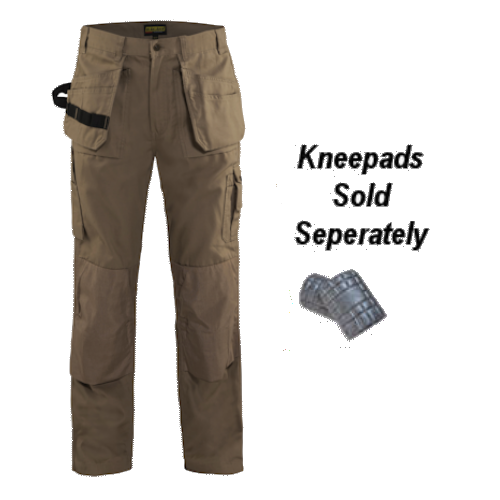 The pockets on the legs are similar to the Brawny work pants and the kneepad pockets are made of Cordura® for long lasting abrasion resistance. You will want to wear these work pants with knee pads every day once you realize how comfortable and convenient they are. The multitude of pockets help you keep your tools close at hand saving you steps throughout the workday. The heavy duty hammer loop on the right side is made of nylon webbing. 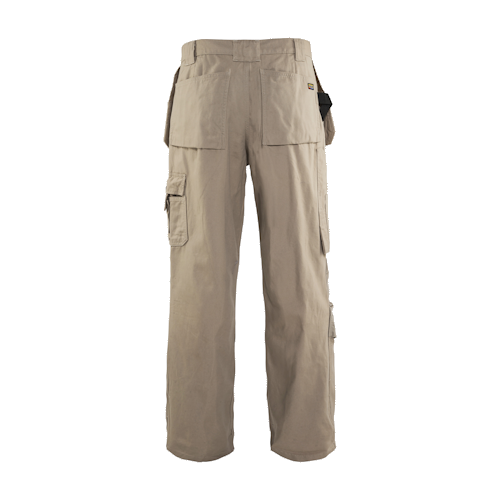 Get a pair of these work pants with knee pads today and you will be glad you did.